서울은 한강 연안 암사동과 미사리 부근에 지금으로부터 5~6천년 전후로 추정되는 선사시대 주거지를 비롯하여 백제의 수도인 하남 위례성이 위치하였던 古都로 오랜역사를 지니고 있다. 백제시대 이후 통일신라 및 고려시대를 통하여 서울은 늘 중요한 지방도시였고, 고려말에 이르러서는 삼경(三京)의 하나인 남경(南京)이 되었다. 그러나 서울이 오늘날과 같은 공간적 원형으로써 확고히 정립되고 도시로 발전하기 시작한 것은 14세기 말 이씨 조선의 수도로 정해진 이후부터의 일이다. 조선의 도읍은 도시지역이었던 사대문 안 성곽 안과 성저십리(城底十里)라 불리던 성곽 밖 교외지역으로 이루어 졌으며, 서울은 세계에서 역사가 가장 오래된 古都의 하나로 발전할 수 있었다. Seoul is an old city with a long history behind it. It has pre-historic sites that are presumed to have existed there 5,000~6,000 years ago in Amsadong and Misa-ri, along the Hangang River and it was where the Hanam Wiryesong Fortress, the capital city of Paekje, used to be. Silla and Koryo period, Seoul has always been an important city, and at the end of the Koryo Dynasty, it was named Namkyong (south capital), one of the three major cities of the period. 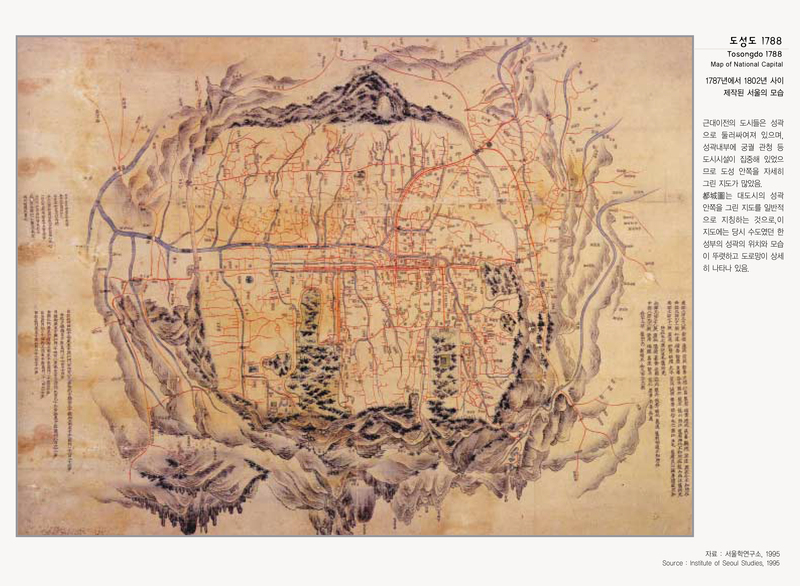 However, it was in the 14th century when Seoul was designated as the capital city of the Choson Dynasty (also called Yi Dynasty, 1392-1910) that Seoul began developing into what it is today with the present spatial structure. 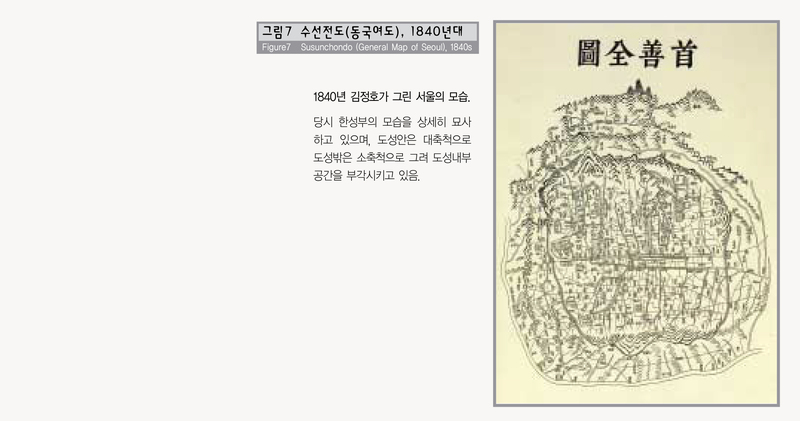 Seoul, then the Choson's capital city was composed of an inner fortress area with four gates (east, west, south, and north gates) and the suburb regions, which was then called 'Songjosimni' (40km down from the fortress). Since then Seoul has become one of the oldest cities in the world.